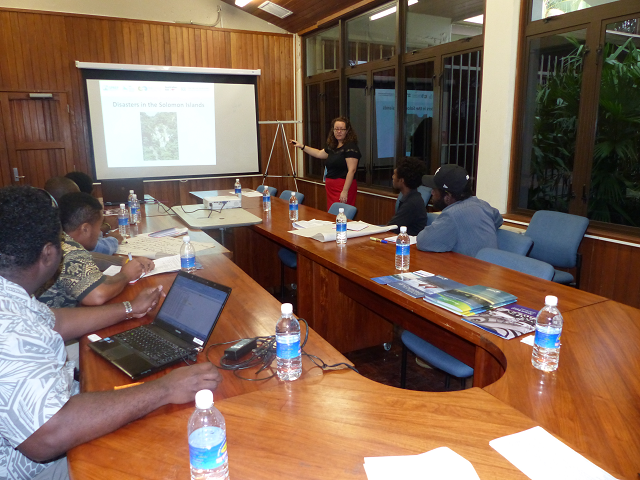 Newsroom journalists received training in climate change and disaster reporting at the Forum Fisheries Agency (FFA) in Honiara this week. Coordinated by the Secretariat of the Pacific Regional Environment Programme (SPREP) in partnership with the Secretariat of Pacific Community (SPC), FFA, and the Ministry of Environment, Climate Change, Disaster Management and Meteorology, the journalists received valuable training in understanding climate change, disaster risk management, and how these affect one of Solomon Islands’ biggest industries, tuna fishing. More than ten journalists from local media attended the training, and as part of the workshop, presentations from the Climate Change Division, FFA, SPREP and SPC covered understanding climate change, eco-based adaptation to climate change, the effect of climate change on fisheries, climate change and gender, disaster risk management, and understanding national warning systems from the National Disaster Management Office. The participants also had the opportunity to visit the Regional Fisheries Surveillance Centre at the FFA, learning about the Regional Observer Program which seeks to enhance Pacific Island countries’ efforts to stop illegal, unlicensed and unregulated (IUU) fishing throughout the region. Knowledge garnered from the training will help the local media better understand the terms related to climate change and disasters and report more accurately. 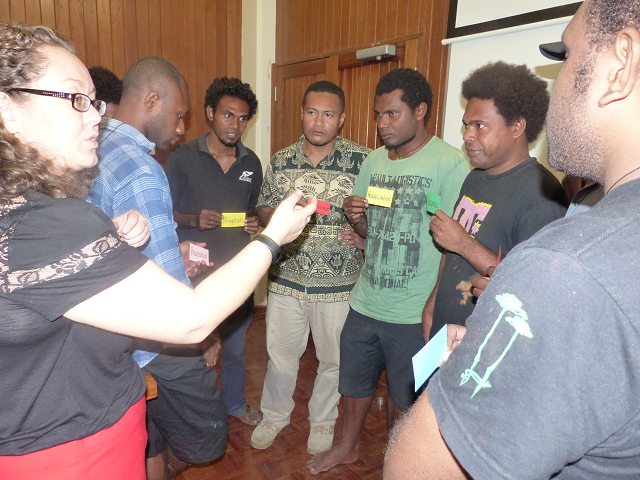 The training was funded by the Pacific Media Assistance Scheme through ABC International, as part of the Broadcasters Climate and Disaster Resilience Plan project that has been rolled out across eight Pacific island countries including Cook Islands, Kiribati, Palau, Samoa, Solomon Islands, Tonga, Tuvalu and Vanuatu. It is being implemented by SPREP in partnership with SPC, and Solomon Islands is the seventh country to complete this project.